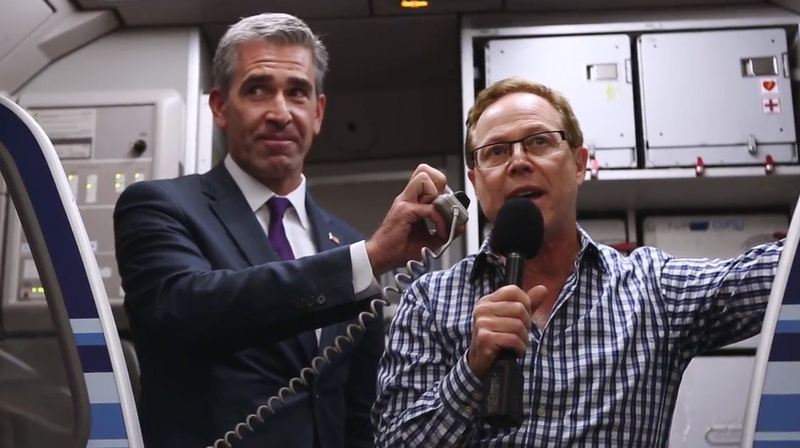 JetBlue invited 150 unsuspecting passengers to "Reach Across the Aisle" in this fun, election-themed stunt from longtime partner MullenLowe. Those travelers were given the chance to win free round-trip airfare to one of 20 domestic or international destinations served by the carrier. But … they'd get those travel certificates (worth about $300 each) only if they could decide on a single destination by unanimous vote before their six-hour flight from Boston landed in Phoenix. "JetBlue is one of those brands that is very comfortable being involved with the bigger conversation," MullenLowe executive creative director Tim Vaccarino told Adweek. "This being one of the most polarizing political climates in history, we saw an opportunity to make a comment about what's truly possible when we all work together." Watch the clip below to find out. "We've seen so much news coverage lately that paints the picture of a society becoming increasingly polarized and politicians incapable of working together," said Elizabeth Windram, the airline's director of brand management and advertising. "This video is our way of questioning that assumption." Vaccarino added, "The beauty of these things is they're cultural experiments. You never really know where they're going to lead you. They unfold in real time. They're unvarnished and can be held up as a real indicator of how people are feeling. That's what makes them so provocative." Such high-minded creative ideals. Dude must come from the progressive wing of the party.